Shar Gracey wants nothing more than to sing the Lord s praises, so she jumps at the chance to join a traveling choir led by the father of black gospel music, Thomas A. Dorsey. Better yet, the opportunity will give her money to pay for her ailing mother s medical care. While on tour she falls under the tutelage of gospel great Mahalia Jackson and falls for the handsome but not-so-great Nicoli James, whose desires for Shar are fueled by his own greed. Shar would do anything for Nicoli and he knows it so when his life is threatened after a night of gambling, Shar agrees to help pay Nicoli s debt, only to have her faith and dreams shattered. Reeling from the betrayal, Shar loses her voice and she believes that she will never sing again. She has no place to run except back home to her seriously ill mother and the man she left behind, who would move heaven and earth to make Shar s pain go away. Even if it means he has to let her go . . . again." I found this story to be very fascinating. It is about a girl named Shar Garcey, who sings in her local church choir and everyone loves her voice. Her mother is sick and her father is out of work. The time period is the depression. They live in Chicago. Their church has just got a new Pastor and everyone is excited about that and once he hears her sing he is struck not only by her beauty but also by her voice. There is an attraction between the two of them but their relationship is slow moving. 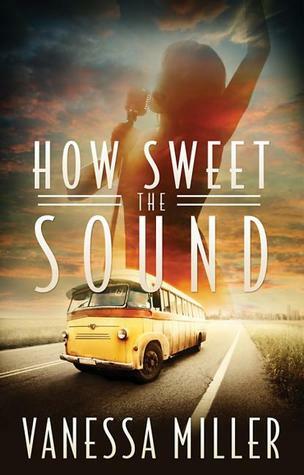 After about 8 months a man by the name of Thomas Dorsey, comes to their church and she is hoping that after he hears her sing that he will ask her to join his gospel group that travels mostly in the south. After the services he leaves and she thinks he must not like her singing so she helps with the cleanup of the church and goes home. Later that evening the Pastor shows up wanting to ask her father permission to marry his daughter, but also in the house is Thomas Dorsey, offering her a job with his gospel group. She talks to the Pastor, Landon and he says he will wait and she accepts the job. Once she is out on the road she is away from her mother and father for the first time and she makes friends with Mahalia Jackson and other strong women. She also meets a man who only wants to take advantage of her because she has an amazing voice and when the letters stop from Landon the Pastor she is confused. When she realizes that the one guy is only using her and she is feeling foolish, her voice is gone. She goes home to her mother and father. There the story takes off again. I don’t want to give it away, but I found this to be a very good story about life and music. How friends will come to aide. Though not a true story there really was a man named Thomas Dorsey, known as the “the father of black gospel music”, he wrote Take my hand Precious Lord, It’s Tight Like That, It’s A Highway To Heaven, to name a few. This was a good story and a fast read. I really enjoyed this book. I got this book from net galley.